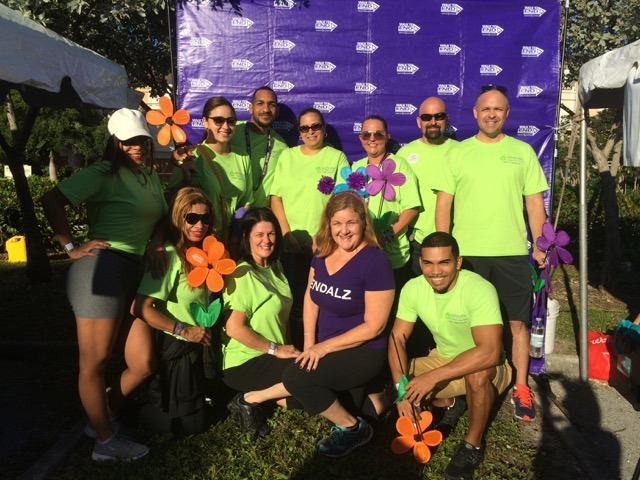 On October 22nd the Advocate Home Care Team gathered with 3,000 other participants as the sun rose on a crisp Saturday morning on Hollywood Beach to take part in the annual Broward County Walk to End Alzheimer's. With so many of our clients suffering from this illness, we all feel the need to help find a cure to improve their lives and the lives of their loved ones. As devastating as this disease is, it was an inspirational morning with many messages of hope. The Advocate team raised over $1000 to help contribute to the Walk goal of $300,000. At last count the goal has been exceeded with a total raised to date of $325,000. Advocate Home Care is an American In-Home Care sister company.